Well... here's my story about how I came to be the proud Mummy to Arthur (now Milo). >> A little bit about me... I am a personal trainer, I am a dog lover. I have 2 wonderful Lhasa Apsos... and wanted to add to my pack. A cockapoo was my choice... but where to start... so many 'breeders' so many variations... F1, F2... and as it's such a long commitment how do I know what's right for me and my dogs? >> I typed in 'Cockapoo' into google... and up comes a long list of options. Confusion kicks in. The first breeder I see... Jandaz. So, an obvious place to start. I tried calling. No answer. I left a message... sent an email.... then called some more breeders. I then began doing plenty of research into the wonderful world of The Cockapoo. 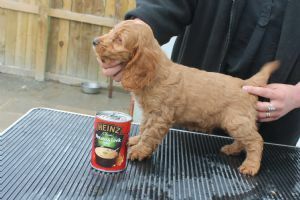 When it started, what their temperament is like, what size they can grow to... wow, this is really is a bit of a minefield... as really it seems that what you get as a puppy may or may not be what you anticipated when you first started out. >> So. I carried on - looking at who would be the best in the business... and best for me. I then spoke to Janice. She knows her stuff... but in Wales... SO far away. I live in London and wasn't going to buy without seeing the litter/Mum/Dad. I am afterall, thorough. >> I spent hours, and taking a lot of time speaking with breeders, professional breeders, hobby-breeders, visiting both breeders and puppies across the UK (virtually impossible to walk away from a 10 week old cutie looking at you saying 'take me home'...) but in the end, there was just something about Jandaz. Something that stuck. Janice is about as experienced in the field as you can get, she knows her stuff. She knows her dogs... the only variable is the people who want to buy from her. I guess she can only hope that you, as potential parents who take one of her puppies are good enough for the Jandaz mark. 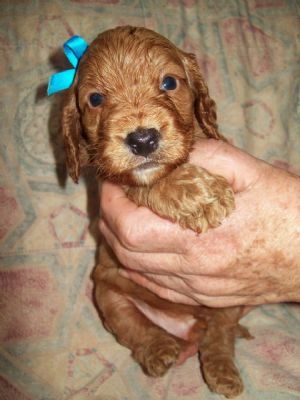 >> I hope to be... so far my red Cockapoo Milo is nothing short of a blessing. When he arrived, courtesy of Uncle Ian, he came in... looking adorable... gentle, loving, playful and so wanting to please. Well, that seems like a long time ago - now 6 weeks ago and the story has been a very happy one... we are now in training, at weekly puppy classes and I can proudly say that my little boy is the top of the class. Gets everything so quickly and shows up all the other youngsters who can only look on at his star performance. What a smart breed they really are. 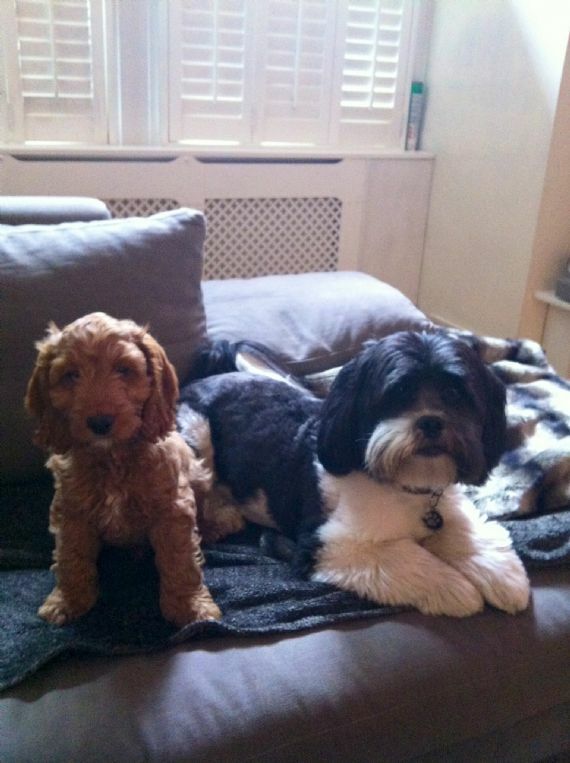 >> If you're in any doubt about where to find your Cockapoo, there is, in my opinion, only one place. The best in the business, and that's Jandaz. >> If Carlsberg made Cockapoos... they would surely come with a Jandaz label. >> Good luck for all your Cockapoo hunters, if you're reading this... I'm happy to say you've come to the right place. PLEASE LOOK AT MILO ON THE LEAD ?